The pump is designed to collect condensate water from air conditioning systems and discharge it up to a recommended maximum 10 metres head. 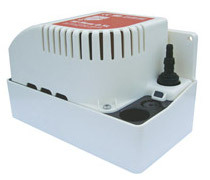 The internal safety switch is a low current switch to stop the air conditioning system in the event of pump failure. The pump is operated from an internal float switch. When you need to remove a lot of condensate water fast, Aspen’s range of Hi-flow Tank pumps are the perfect solution. The new, stylish Hi-flow 0.5L Tank pump has the same market leading reliability of the Hi-flow 1L and 2L pumps and is ideal when space is limited. The pump quietly removes up to 180L/hr, with a maximum head of 3.5m. 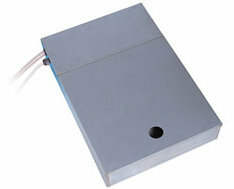 For ease of installation there is a push-in plug and an incorporated back-plate for vertical mounting. The installation flexibility continues with three inlet options and a dual-size non-return outlet barb, suitable for both 1/4″ and 3/8″ tube. Pump rating: 0.4A, 230V A.C. The Hot Water pumps are designed to collect hot water from humidifier drain down cycles and normal condensate water from any associated air conditioning or boiler systems. 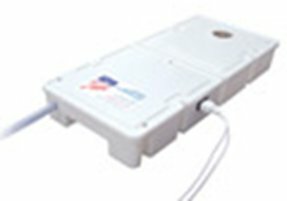 The internal pre-wired safety float is a low current switch to stop the drain down cycle in the unlikely event of pump failure. The pump is operated via internal float switches. 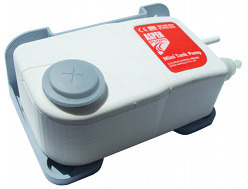 The pump unit is built of heat resistant cycoloy and operates in the same way as the Heavy Duty tank pumps. 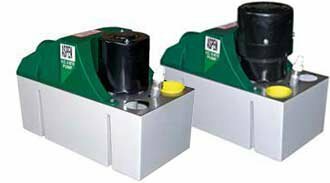 The Aspen Heavy Duty pumps are designed for the rapid removal of condensate. They are particularly useful in situations where multiple refrigeration units are installed, or where large refrigeration systems deposit considerable quantities of condensate at one time. This is particularly important in environments where efficient cleanliness is of utmost importance. Two floats provide the operational control, one to operate the pump, and the other a safety float to be wired into the refrigeration unit control circuit. The Heavy Duty tank pumps have a greater water flow rate than the Hi-flow tank pumps, for more heavy duty applications. A simple yet very effective solution for the removal of water from supermarket retail refrigeration units. The Retail Refrigeration pumps are low in height which means they can be easily installed underneath a refrigeration unit, where direct drainage is not available and water needs to be pumped up above the ceiling and away to a suitable drain. The high capacity of the pumps also permits the draining of several units together. The pumps are operated by floats which activate sensors as the water level rises in the tank. Cleaning and maintenance of the pumps is simple, as they can be removed easily from underneath any unit. Standing at a height of only 75mm, it is a simple but very effective solution for the removal of water from directly underneath refrigeration units during the auto defrost cycle. Ideal for individual refrigeration units with limited space, it is suitable for both the OEM market and for direct installers. The tank side of the pump has capacity for 3.5 litres of water drained directly from the refrigerator during the auto defrost cycle, which is pumped away quickly through two filters to catch any debris. The design shares many ‘service engineer friendly’ features with the larger, established ERRP, including lightweight and easy-to-clean plastic tank and covers, plus a push-in plug and recessed handles at either end to enable easy installation and servicing.